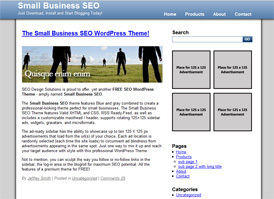 Download our first of many FREE WordPress SEO Themes from SEO Design Solutions. 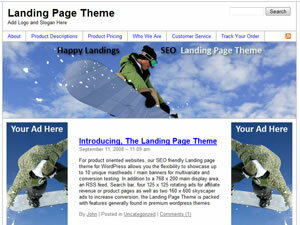 Just added, The Happy Landings Landing Page Theme for Affiliates and / or E-Commerce sites. Screenshot of Happy Landing - Landing Page Theme! Select from either the SEO Basics or Small Business SEO by clicking the images below. Both themes are customizable and feature-rich built with search engine optimization in mind.